Legal Talk Network host Adriana Linares interviews Ben Hill, Florida Bar president from 1991-1992, Ramón (Ray) Abadin, president from 2015-2016, and incoming Bar president Bill Schifino at the 2016 Annual Florida Bar Convention. Adriana begins the podcast by having each president ask questions of the others. 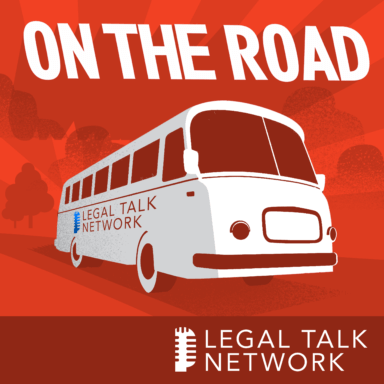 They discuss why it’s important to listen to their executive director, the growth and changes of the legal profession, and how to deal with the increase in online legal service providers in Florida. Although Ben, Ray, and Bill all differ in the way they approach leadership, they agree that they are all extremely committed to serving the bar members, their clients, and the public as a whole. The presidents urge young lawyers wishing to progress within the bar to get involved early and start in local positions and committees. Stay tuned to the end for the one thing each president would like to say to all bar members. Ben Hill is a founding partner and chairman of the Tampa law firm Hill Ward Henderson. As a member of the litigation group, his practice is primarily focused in the areas of complex litigation including professional liability, products liability, and general commercial matters. Ben was president of The Florida Bar from 1991-1992, is a former president of the Young Lawyers Division of The Florida Bar, and is currently board certified as a civil trial lawyer. Ramón A. Abadin is a partner in the Miami office of Sedgwick LLP, where he focuses on complex commercial, insurance, and corporate litigation. He served as president of The Florida Bar Association for the 2015-2016 term and is also past president of the Cuban American Bar Association. Bill Schifino is managing partner of the Burr & Forman LLP’s Tampa office and a board-certified specialist in the area of business litigation. His practice includes securities litigation and arbitration, professional malpractice litigation, employment litigation, and intellectual property litigation. In 2015, Bill was elected president of The Florida Bar and serves as president of the Bar starting in 2016.